A 2016 casino, Fair Go has a focus on Australia, but will accept players from other countries as well, including those from United States. 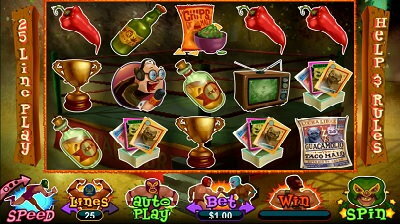 The software that powers the casino comes from RTG and the games are provided by them as well. They have a decent collection of games, they offer both AUD and Bitcoin options and they prove in a couple of different ways that they will do a good job for the players that choose them. More on that below. First of all, you’re playing at a casino with a Curacao gaming license. It’s an English language site, which hasn’t been translated into other versions, but that’s obviously not an issue for players from the United States. The use of the word pokie for slots might confuse some, but those are basically the same thing. The site doesn’t have too many bells and whistles, meaning that it’s got the minimalist look down. They have all the game categories on the left side and various links to promotions and banking at the bottom, but it doesn’t feel too much. The software powering Fair Go is available from Realtime Gaming, or RTG. 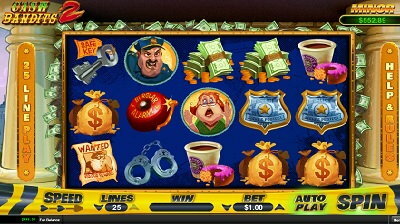 The casino is accessible on all major platforms, ranging from desktops, to Mac users, tablets and phones (both Android and iOS). You get a couple of hundred games, which mostly cover the slots well, but there are table games there, video poker and more. To start with, I’d recommend you check out their New Games tab, which as it happens it’s also their first category. At the moment, there are some excellent Jackie Chan themed games there, along with others based on Ritchie Valens and a couple of others. 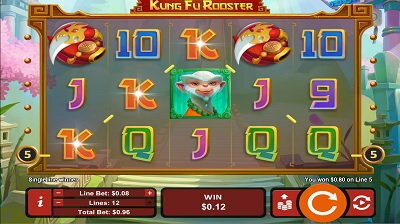 You will find that RTG keeps releasing new slot machines and that the quality is a very good one for the vast majority. 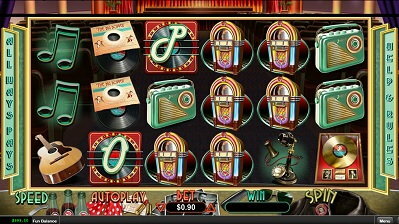 For more examples of RTG’s line-up of slots/pokies, hop on to the next category which lists them all. From classics, to video slots and their progressive jackpots, that’s where they’re all available. I would especially recommend the Aztec’s Millions progressive jackpot, which has over $2 million to pay out at the moment. They haven’t neglected the other sides of the casino experience, which means that there are table games to be had and enjoyed. Depending on what you like, you could try your hand at a game of European Blackjack, Caribbean Hold’em Poker or Caribbean Stud Poker (with a six-figure progressive jackpot), Pai Gow, Blackjack and several others. They do especially well in the Video Poker category, listing there variants with 1, 3, 10 or 52 hands, many of the popular ones being available. All in all, I’m satisfied with the offer that Fair Go makes here. The RTG games are of high quality, they have several progressives present among them, even some life-changing ones, and you’re definitely going to enjoy their newer releases. The promotions page is a big one, listing about half a dozen ways that you can take advantage of offers. The $1,000 Welcome Bonus is the main one that will interest you as you’re starting out. You get this over five deposits, each time the amount matched at 100% and limited to $200. To meet the wagering requirements, you’re allowed to use maximum bets of $10. They also have something called Game of the Month, which offers double comp points, along with a 100% bonus and 30 free spins on a daily basis. Koala Monday lets the user deposit and get a bonus of 50% to 100%, depending on how much is used. Bonus to Go is available for the mobile users, encouraging to use that platform with deposit bonuses of 50%, limited to $200. Fair Friday is another one, which gives you 30 free spins to use on a featured game. Many of these promotions have limits on the amount that you can cash out, along with high wagering requirements of 60x, so the casino doesn’t leave a great impression in this case. With half a dozen available options in total, it doesn’t feel like a big variety, but it should cover Australian players well, and many of the other countries (US included) will be able to use the others. Deposits are made via Bitcoin (the universal option), Neosurf, Mastercard and Visa. Withdrawals will use Bitcoin ($100+ withdrawals with $30 fees), Moneygram ($130 to $550, with fees of $110), Mastercard ($100+), Visa ($100+) and bank transfers ($50+ and fees of $50). Withdrawals are also limited to $8,050 AUD per week. 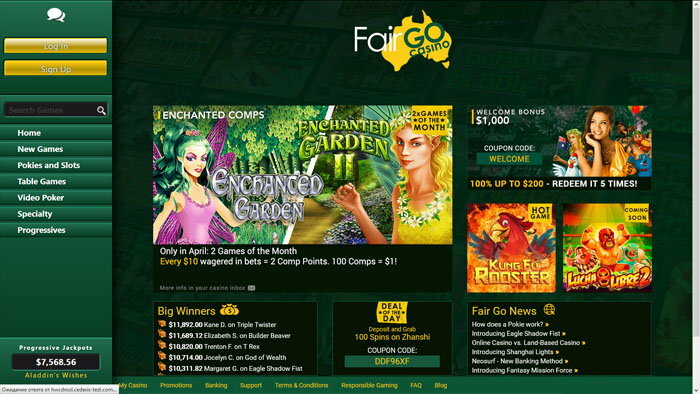 Fair Go casino is usable by most players, including the ones from United States, even though it’s focused on the Australian market. I’m not crazy about all the fees they place on their withdrawals, even the ones using Bitcoin, and their wagering requirements are on the high side as well. The RTG games are definitely points in their favor though.